Fulham finally stopped the rot as they won in the Sky Bet Championship for the first time since August with a 4-2 romp at Barnsley. Slavisa Jokanovic's men, who were the early-season pacesetters, had gone six league games without a victory, but they put that right in an action-packed game at Oakwell that included three goals in five first-half minutes. 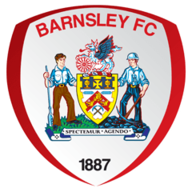 Goals from Lucas Piazon, Sone Aluko, Scott Malone and Chris Martin did the damage, though Barnsley twice took the lead through Marley Watkins and Sam Winnall. The Reds, who had Josh Scowen sent off in the second half, have endured a similar run of form to their visitors and have now not won in five games and on this evidence contrasting seasons look on the cards. It had started so well for Barnsley as they surged into a fourth-minute lead, though were thankful for some criminal play by the visitors. Playing the ball out of defence, Stefan Johansen casually passed straight to Barnsley's Sam Morsy, whose first-time pass sent Watkins through on goal and there was no mistake with the finish as the Reds striker drilled into the bottom corner. 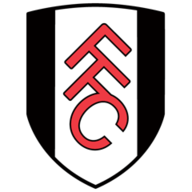 After controlling the majority of play Fulham got their reward in the 37th minute and levelled when Piazon slashed home from Malone's cut-back for his first goal for the club. Barnsley hit back four minutes later, though, as Morsy again played the perfect pass, this time to Winnall who converted off the post. It was a goal the home support was still celebrating by the time Fulham had again drawn level, with Aluko nipping in to slide home Johansen's pass. It was more of the same after the break as the visitors took the lead for the first time just 33 seconds into the second half through Malone. The left-back cut inside and his ball in, which was almost certainly a cross, deceived a back-pedalling Adam Davies and flew into the net. Malone was again the architect as Fulham gave themselves some breathing space midway through the second half as he whipped in a cross from the left which allowed Martin to break his duck with a powerful close-range header. Things got worse for Barnsley two minutes later when Scowen was sent for an early bath after a poor tackle on Scott Parker and there was no way back from there. "After a very bad September we started after the international break with victory, that's very important for us. It's a nice afternoon for us today, I am happy with my team. "If we want to be fighting for more important things we need to need to improve at our own stadium. We are a team unbeaten away, but our problem is at home. We come under pressure and we are not as comfortable without the ball as we are away from Craven Cottage." "I am disappointed, watching the goals back they were terrible on our part," the Reds boss said. "If you give four goals away like that you haven't got a chance. When we went in front we didn't keep the ball and weren't composed on the ball to give ourselves a rest to control the game. "We were set up to hurt them in a way that we did with our two goals. Why we keep clean sheets and have defended so well was missing today."